One of the best things of summer is berries . 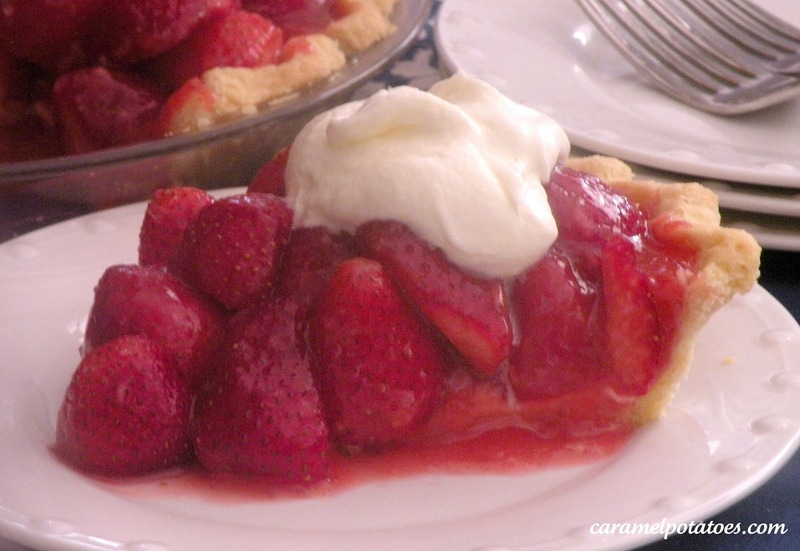 . . and strawberries are one of those perfect foods that you can just enjoy as is – or you can take them over the top in a fresh strawberry pie! When I was growing up we would take road trips to my grandparents home in Idaho (mind you no dvd players or ipods back then) – so the highlight of the trip was stopping at JB’s Big Boy Restaurant outside Boise, Idaho to have a slice of their fresh strawberry pie. As I remember it, they were about a foot high with fresh berries and oh so good. I wonder if they are still there and still making strawberry pie? If you live near Boise, you’ll have to let me know. 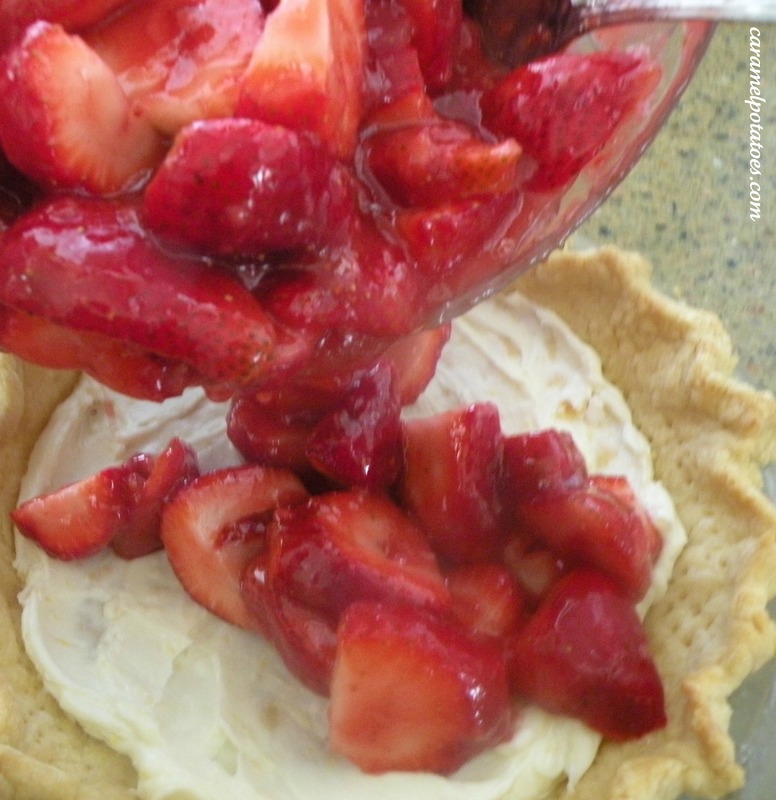 There’s just nothing like fresh strawberries and whipped cream in a pie. . . . make one today – you’ll family will think you’re the best ever! 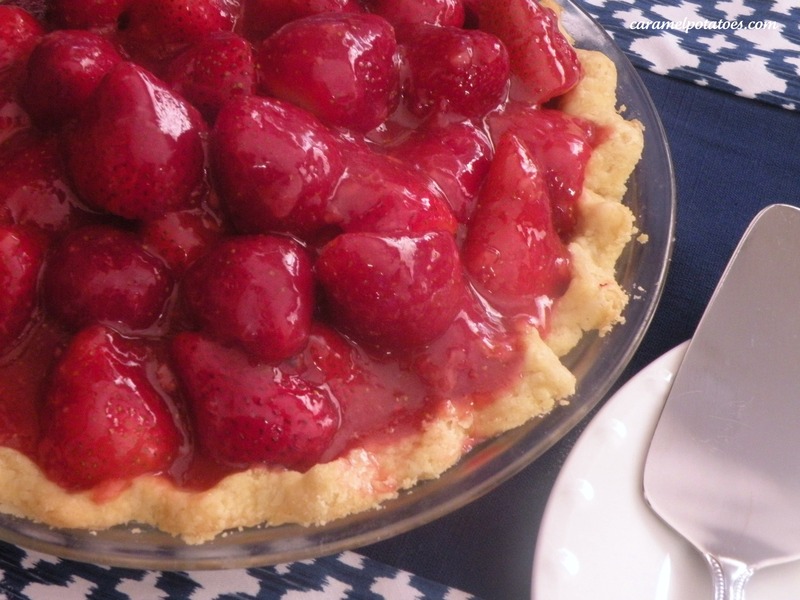 Wash and stem your strawberries first so they can dry by the time you are ready to put them in your pie shell. If the berries are large you can cut them in half. Take about 1 1/2 cups of the strawberries and puree in your blender (or just mash them well) to make about 1 cup of puree. Pour the puree into a medium-sized saucepan. Mix the sugar and cornstarch together and add to the puree. Stir in the water (add in 2-3 drops of food color to achieve a deeper red) and 1 teaspoon of fresh lemon juice. Cook over medium heat, stirring constantly, until the mixture thickens and boils. Boil 2 minutes, remove from heat and cool. While the sauce is cooling, beat together cream cheese, powdered sugar and 1 teaspoon of fresh lemon zest until smooth. Spread in the bottom of your baked pie crust. 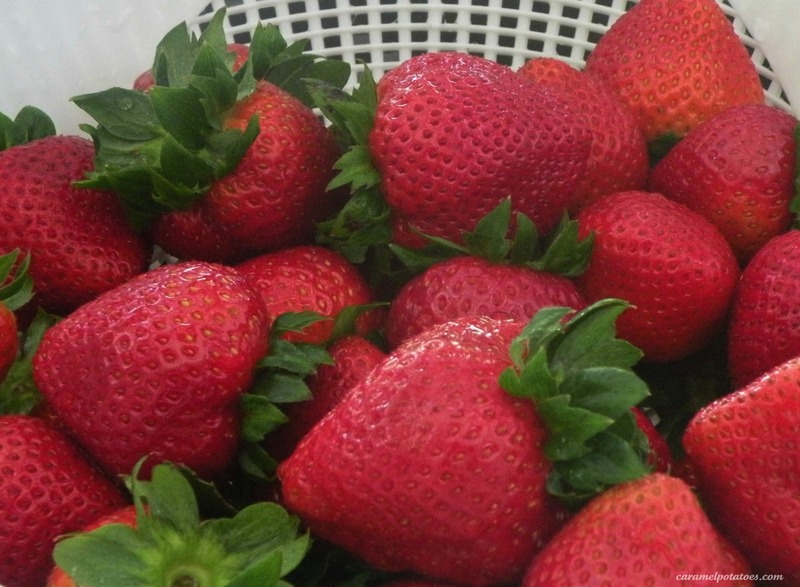 Mix cooled strawberry mixture with the fresh strawberries. Pour into pie shell. Refrigerate until completely cooled and set – at least 3-4 hours. When ready to serve top with fresh whipped cream and then get ready for loads of kudos!